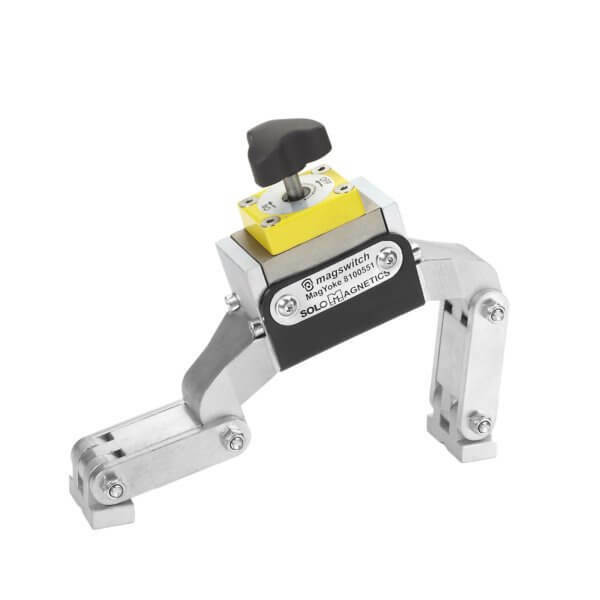 Magswitch MagYoke is an evolutionary patented ON-OFF switchable permanent magnetic Yoke which gives the user the ability to perform magnetic particle inspection without an electrical power source. It has all the advantage of a permanent Yoke system without the problems related to adhesion of metal particles. 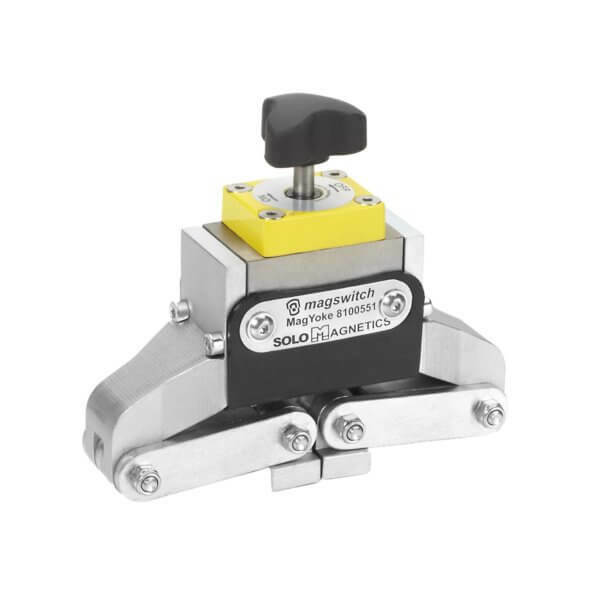 Solo Magnetics integration with Magswitch Technology. 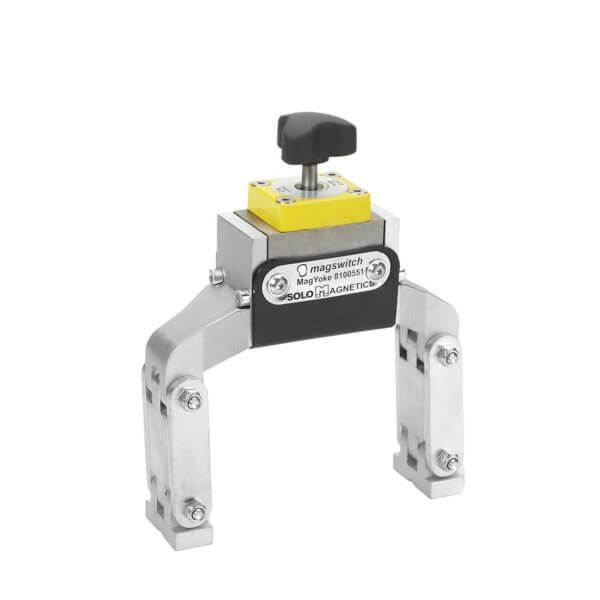 One turn of the actuation switch completely neutralizes the permanent magnet field allowing the users to remove the tool from the ferromagnetic material and clean the yoke with ease. 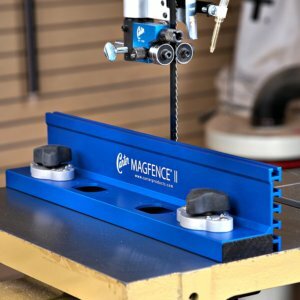 The MagYoke’s magnetic field can be “turned on” after the pole legs have been placed on the metal to be tested, reducing the chance of a spark created by metal to metal contact. 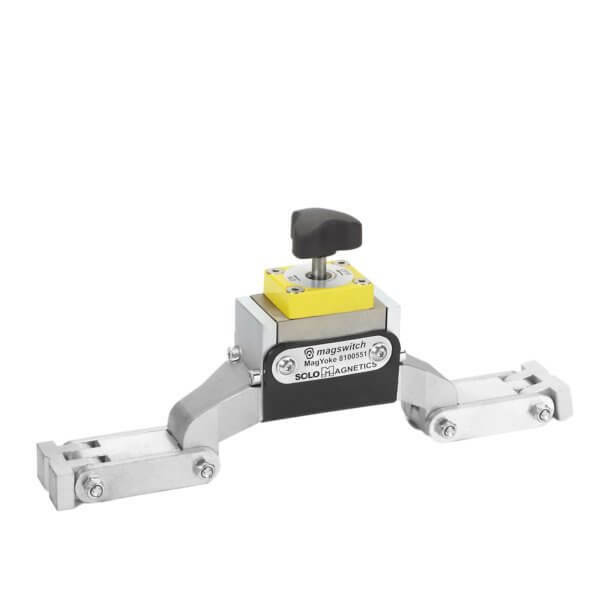 Switching the permanent magnet from OFF to ON will produce a variable intensity / variable geometry magnetic field to increase the ferromagnetic particle mobility to increase the contrast of flaws within the test material. The lightweight, compact, easy to use design is ideal for everyone from back yard mechanics to NDT professionals.